Again, I would like to say that we want to be very critical on the Codex. I feel the codex is something that is laid upon us, without our knowledge or consent. And that the consequences for the consumer can be very fierce. I saw the movie of Dr. Laibow – and that was very impressive. BUT, and this is important, I cannot find any evidence of the things she says in Codex material or any other source. So I cannot draw myself away from the thought that not everything she says is fact-based. This opinion was enforced by an article on the Dr Rath website in which several things Dr Laibow said were undermined and falsified. Your article was more balanced. But I do need some further information. 1. Can you tell me a little more on vitamines and supplements? As I read it, the guideline states that the minimum level if each vitamine or mineral in a supplement or vitamin should be 15% of the daily intake. Is this the fact for the majority of all vitamines? And furthermore the guideline states that the maximum amounts of vitamines should be determined according to SRA. Can you tell me why you are so opposed to this? 2. In several media you can read that this guideline can cause an end to the sail of vitamins and foodsupplements. Do you agree and if so, how does this guideline do this? 3. On biological food, you state that the Codex Commission is strongly lowering the standards for biological food, so that more products can be labelled Biological. Can you back this up with facts, as in, where I can read this and where this is stated in codex? (The host of our show is very fond of biological food and thus, this will be a good point). Can you also show me where it is stated that stuff like Carrageenan and other dangerous substances are now allowed in biological food? 4. I gladly would like to know more on the status of gmfood in codex. Im hearing some mixed stories. 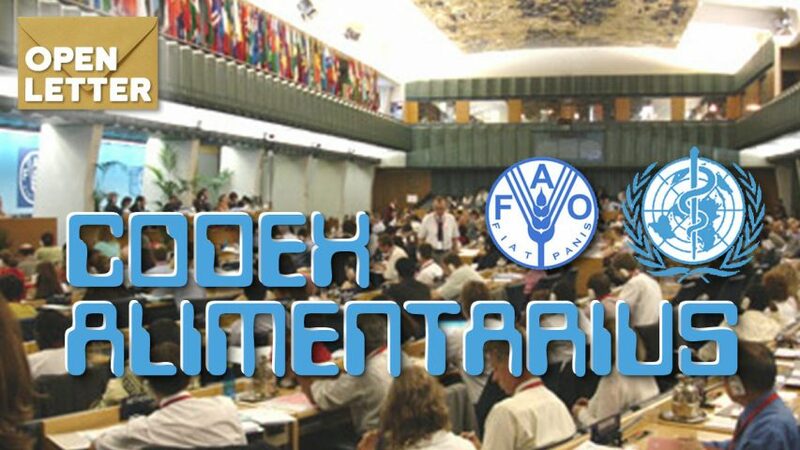 Some people and NGO’s are saying codex is more strict on gmfood than the current legislation – and will therefor make the import of gmfood into the EU less. 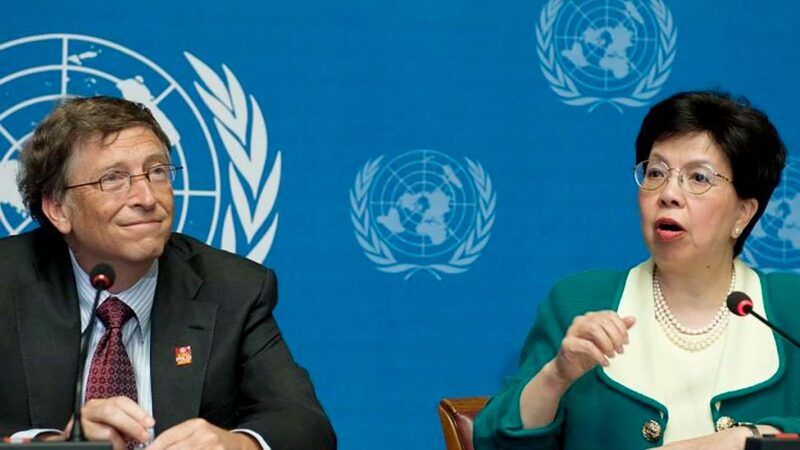 On the other hand, I read, for example in your piece, that the codex demands that we allow gmfood to be transported freely accross countries. Furthermore there are some contradictions in the messages on labelling of gmfood-products. Can you clarify this as well? And do you have some codex-texts or other links to prove this? 5. On a more general note, do we, as consumers, need to worry bout codex? Is a threat? 6. Dr Laibow mentions 5 sttrong things on codex: – It is a napoleanic code. Everything not described is not permitted. – Under codex every cow used for milk needs to be treated with recombant growth hormone – EVERY animal used for food on the planet (birds, fish, meat) must be treated with subclinical antibiotics & exogenous growth hormones – ALL food be irradiated unless eaten locally and raw – And that certain pesticides are permitted that were once forbidden and noted as very dangerous. Are all these statements true. Because if they are this could ofcourse have a enormous impact on our society. And that would mean that this would be a very big story for our program to bring. If these statements are true, do you have prove of this? Again, sorry for asking for prove. Its not that I dont trust you or your company. Its that I really want to base the story on facts, rather than on stories and people like Dr. Laibow. It would be great if you could answer some of these questions. I would prefer to talk on the phone, but if your schedule does not allow this, than emailanswers would be great as well.